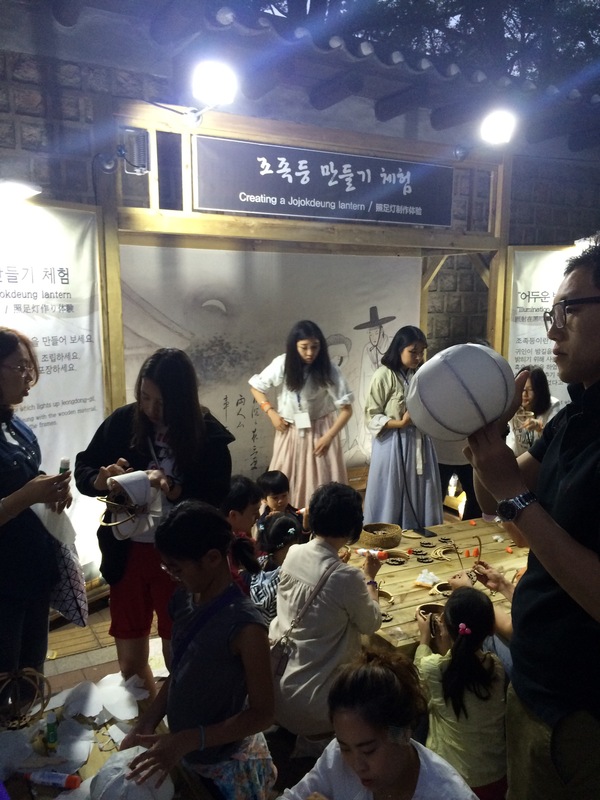 We were lucky to be in town during Culture Night, a free festival to celebrate spring in Jeong-dong, Jung-gu. 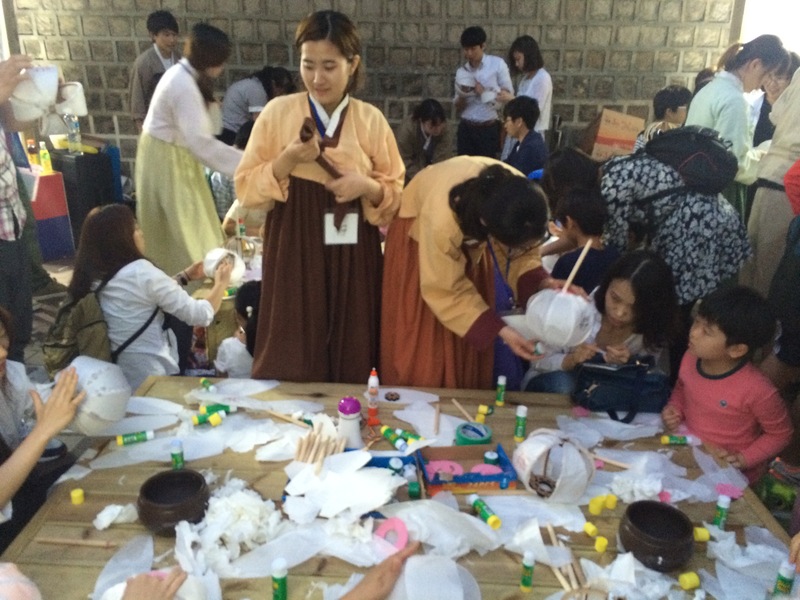 Thanks to Korean Tourism Organization, I was able to learn about this event posted on their facebook page. TRAVEL TIP: Do check tourism offices and websites before your trip to help fill your itinerary with local events, not just touristy stuff. You might just be able to experience a concert, art show or festival for you and your kids to enjoy! 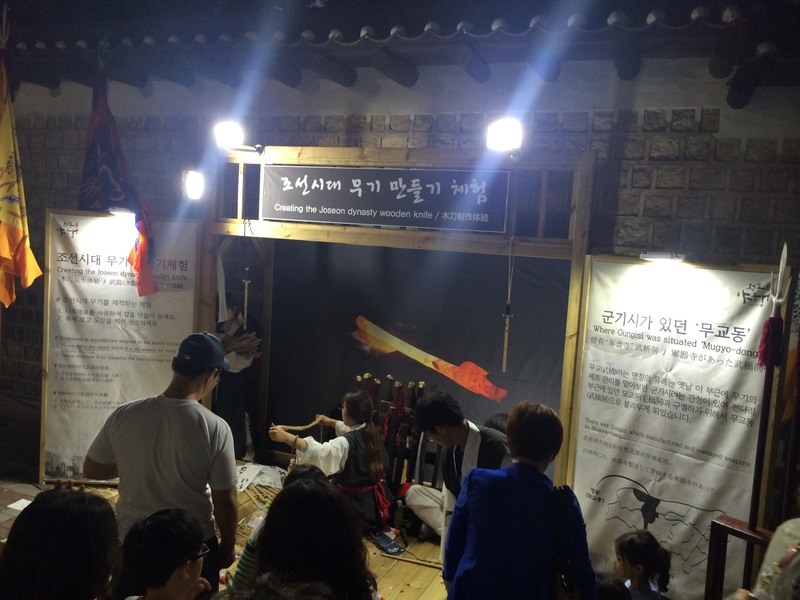 The Culture Night had different themed programs. 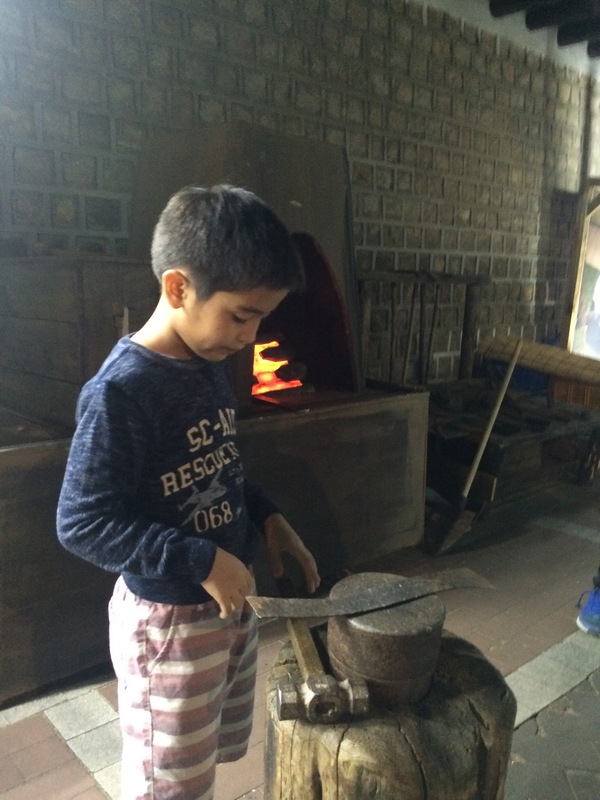 I chose the Historical Street Experience to teach Santi about the Joseon Dynasty. All the workshops looked very interesting! If we only we had the luxury of time, we would’ve signed up for all! Unfortunately, lining up for each activity took 30-45 minutes so Santi and I were only able to try two before our tummies grumbled for FOOD. 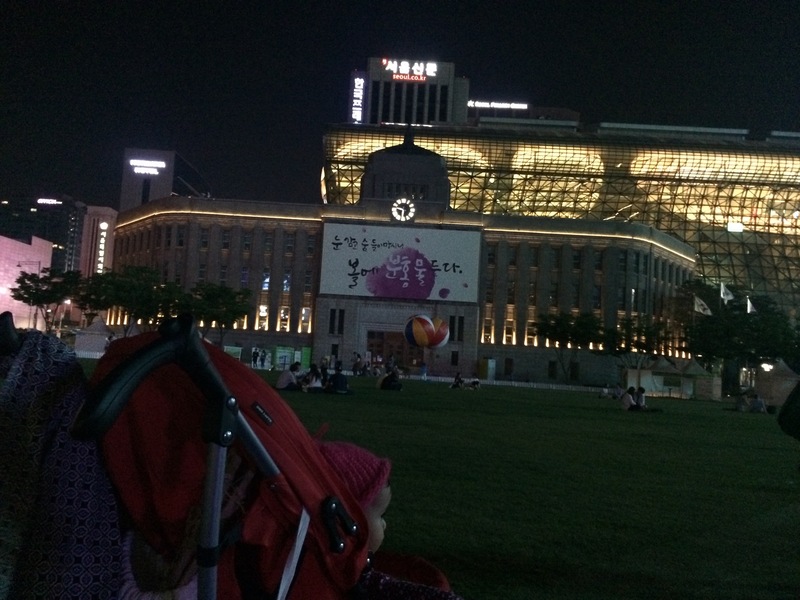 It’s so nice that the Koreans love children. They really take their time to talk you each child, even if they don’t speak much English! 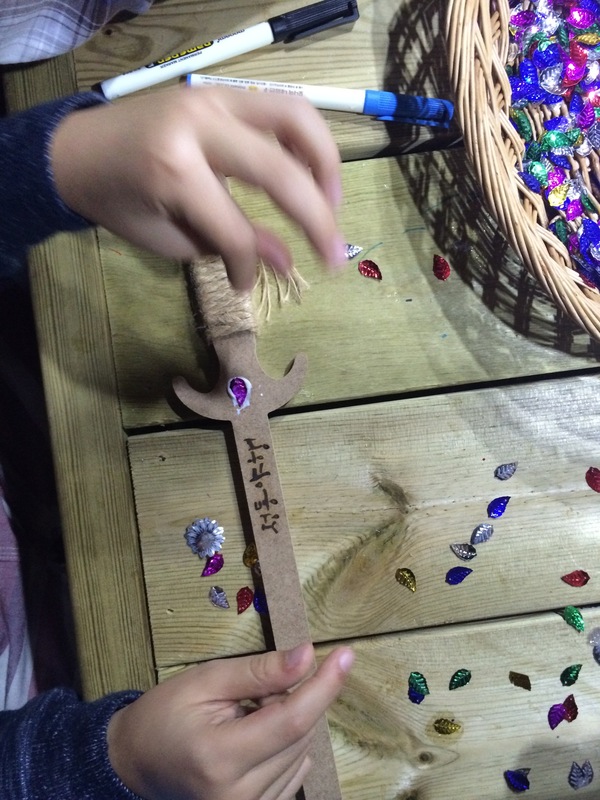 Santi personalizes his sword with “gems”. A crowd watching make-pretend torturing with wooden clubs. Now, that really got my son’s attention! Rice drink? We took the subway to this event, only to find out later on that walking was waaaaay shorter! What an experience it was! I vow to partake in another festival for my kids next time we visit. 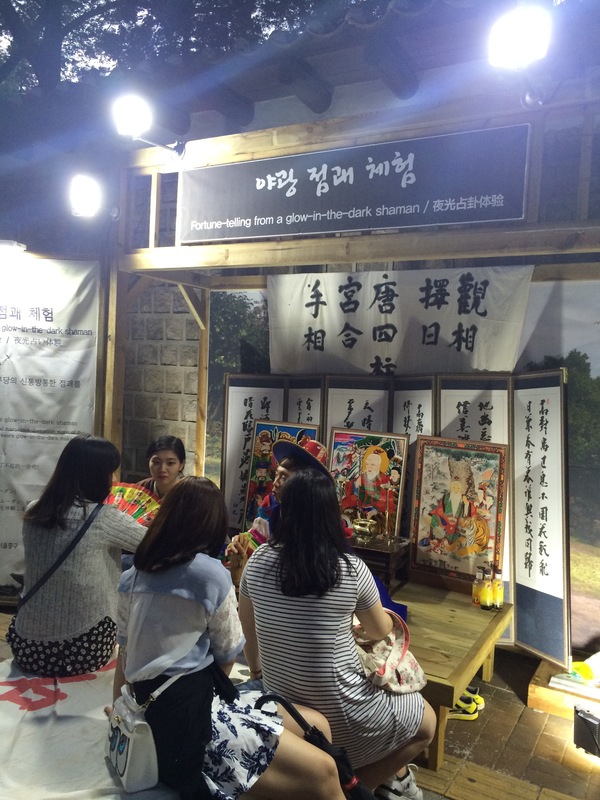 Have you had any festival experiences in Korea? 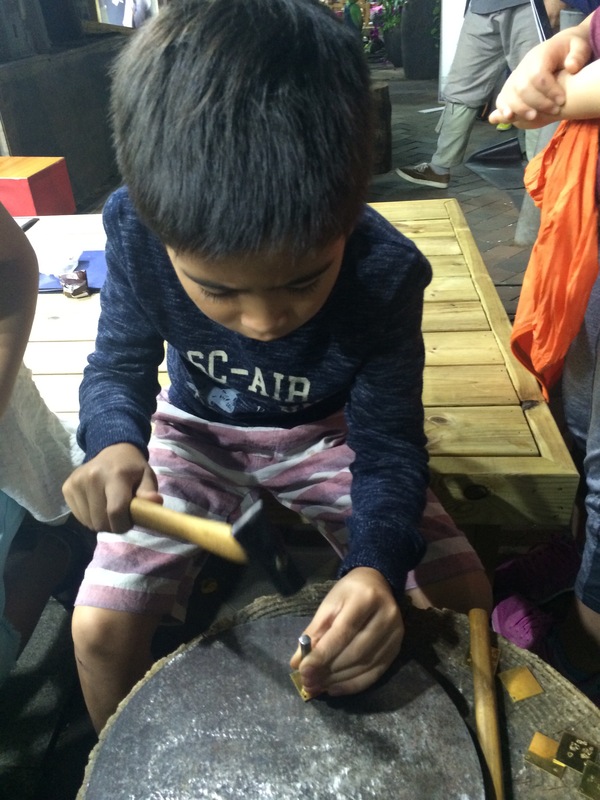 Previous PostNational Folk Museum of Korea and The Children’s MuseumNext PostNorthern Thailand and BKK in August!